November is Diabetes Awareness Month and there are some interesting facts you might want to be aware of. According to the latest data released by the CDC, diabetes rates have been increasing at an alarming rate over the past two decades; but not to worry; over 200 new drugs are currently in the pipeline to save us. If you didn’t detect my sarcasm, let me be clear: these two ”unrelated” pieces of information show that we still have much more to be aware of before we can make any headway in our current diabetes crisis. The CDC released data this month that shows that the number of diagnosed cases of diabetes between 1995 and 2010 grew by 50% or more in 42 states (in the US), and by 100% or more in 18 states. States with the largest increases over the 16-year period were Oklahoma, up 226%; Kentucky, up 158%; Georgia, up 145%; Alabama, up 140%, Washington, up 135%, and West Virginia, up 131%. While it is agreed upon by most researchers that 70-80% of the cases of diabetes (Type 2) are preventable with lifestyle prevention/intervention; the vast majority of research dollars are still spent on finding solutions which avoid this solution! This is the type of “awareness” that is desperately needed if we are truly to reverse this, and most of the chronic diseases that are plaguing us today- and also the reason I wrote the Original Prescription in the first place. Our solutions must address the root cause if we hope to change the numbers the CDC reports a decade from now. Posted in To the Point --- Our Blog. Could one apple a day really amount to much clinically? Apparently, yes and for good reason. An apple is more than just one “signal” of health, it is a myriad of dozens of signals which, if given frequently enough, can trigger the healing capacity your body is waiting for (we discuss this in more detail in chapter 6 of The Original Prescription). One recent study trying to ask this question studied how eating an apple a day might decrease the formation of highly atherogenic complexes which form between oxidized LDL particles (OxLDL) and beta2-glycoprotein I (many researchers believe it is oxidized LDL complexes that are the real culprit behind plaque formation). What they discovered was that when healthy subjects (40-60y) ate one apple every day (alternating between Red Delicious and Golden Delicious) for one month they saw a 40% reduction in these OxLDL complexes. When they tested an extract of apples in a capsule (made from a variety of different apples), they saw a benefit over placebo, but only about half of the effect of eating the apples. This difference might have been due to the variation in specific polyphenols between the extract and the apples (although total content was the same)-the difference in the absorption of these compounds from the apple or benefits from other (non-polyphenol) components of the apple. I should mention that a 40% reduction of oxLDL complexes is considered to be very clinically relevant, and if you look at some of the links below, apples might help the body do a number of other things which support healthy arteries. By the way, organically grown apples have more polyphenols- especially when the growing season and conditions provide a little stress from drought or pests, as these polyphenols are typically the plants way of protecting itself- which apparently transfers to us if we eat them! Check out these links for more about an apple a day. The influence of organic/integrated production on the content of phenolic compounds in apple leaves and fruits in four different varieties over a 2-year period. Three-year comparison of the polyphenol contents and antioxidant capacities in organically and conventionally produced apples ( Malus domestica Bork. 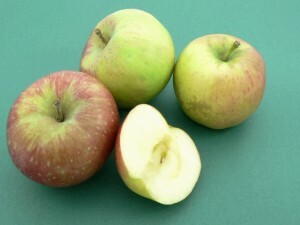 Cultivar ‘Golden Delicious’). Evaluation of cardiovascular protective effect of different apple varieties – Correlation of response with composition. Flavonoid-rich apples and nitrate-rich spinach augment nitric oxide status and improve endothelial function in healthy men and women: a randomized controlled trial. Should you eat breakfast like a king? We have all heard the old adage that “Breakfast is the most important meal of the day,” but can such an adage be proven scientifically? And if so, by what criteria do we measure the importance of one meal over another, and perhaps most importantly, would this be true for everyone? In the dietary principles we lay out in chapter 8 of The Original Prescription, principle #3 reads: “Unless purposely fasting, don’t skip meals. Start each day with a balanced breakfast containing both protein and fiber.” I mention, among other things, that the glycemic dynamics after the morning meal have a powerful impact on hunger signals throughout the day. I also mention how the diurnal rhythm of the stress hormone cortisol, which peaks in the morning just after awakening, is supposed to steadily drop during the time one normally consumes breakfast. Of course, cortisol is one the body’s modulators of glucose and insulin action and, I believe, one of the reasons that stress, insulin sensitivity, eating breakfast and risk for obesity and metabolic disorders are related. Skipping breakfast, as most of you know, is linked with increased risk for obesity, insulin resistance, diabetes and heart disease. Among other things, the need for our bodies to maintain higher cortisol to sustain our glucose levels when we skip our breakfast meals (remember cortisol is a gluco-corticoid), diminishes our insulin sensitivity and increases the overall catabolic effect of cortisol- driving more metabolic dysfunction. As we discuss in the book in detail, our bodies are designed to take in the “signals” of our life(style) and convert this into health. As with many of the signals that follow a circadian rhythm like cortisol, researchers have now identified that insulin secretion and action follows a pattern based on a diurnal pattern of pancreatic beta cell function. And would you believe, glucose tolerance and insulin sensitivity is highest after breakfast. Researchers at the Mayo Clinic measured a number of parameters of beta-cell function and insulin and glucose metabolism and discovered that total beta cell responsiveness was over 20% higher after breakfast than after either lunch or dinner [Pub Med Link]. Overall, this pattern was maintained amongst most of the participants, but it was not so in every person measured (they studied “healthy” normal weight volunteers with normal fasting glucose). They found, that in a few individuals, morning insulin sensitivity and beta cell function was dramatically lower after breakfast than after lunch or dinner. What is going on in these individuals? The authors speculate that individual responses may be influenced by sleep-wake cycles, age, gender, shift work or jet lag. Of course, my first question was “What are the cortisol levels in these individuals?” The author emailed me that cortisol, among other hormones, was monitored in these individuals and the data is being studied for a future publication (we will have to wait). I think this information will help us understand why some individuals responded differently to the group as a whole. I can tell you, as someone who attempted a similar study; that performing a glucose/insulin test after breakfast without controlling for wake time and shift work will dramatically influence the individual responses. Insulin sensitivity follows a diurnal rhythm- corresponding with the normal sharp drop in cortisol in the AM (the hypothalamus is controlling all of this). After an 8-12 hour fast, the body appears to be designed to dispose of a larger meal by increasing beta-cell function and peripheral insulin action. Eating breakfast helps to ensure the normal drop off in cortisol levels after awakening. Skipping breakfast means we miss the window when our body is designed to most efficiently deal with a meal and, among other things, triggers cortisol production and a subsequent increased desire for comfort foods. This pre-programmed increase in insulin and beta cell action after breakfast can be eliminated by improperly timing the first meal of the day due to awakening time (shift work, jet lag, poor sleep) or HPA axis stress. The link between elevated stress, skipping breakfast and a wide-range of metabolic disorders is not a coincidence. In my next post, I will discuss how exercising before breakfast might affect your metabolism. Caffeinated coffee does not acutely affect energy intake, appetite, or inflammation but prevents serum cortisol concentrations from falling in healthy men. An oral lipid challenge and acute intake of caffeinated coffee additively decrease glucose tolerance in healthy men. The Association between Skipping Breakfast and Biochemical Variables in Sedentary Obese Children and Adolescents. Breakfast habits of 1,202 northern Italian children admitted to a summer sport school. Breakfast skipping is associated with overweight and obesity. Association of breakfast skipping with visceral fat and insulin indices in overweight Latino youth. Comfort food is comforting to those most stressed: evidence of the chronic stress response network in high stress women. Adverse metabolic consequences in humans of prolonged sleep restriction combined with circadian disruption. Disturbed glucoregulatory response to food intake after moderate sleep restriction. Over the past few years I have been discussing the early successes of the Look AHEAD clinical trial, the largest lifestyle intervention study in Type 2 diabetic subjects, to date. The trial was a comparison of intensive lifestyle changes (calorie-restriction, physical activity and frequent group sessions) compared to standard diabetes counseling for weight management- with the primary outcome being changes in “hard” cardiovascular outcomes (MI, stroke, angina, cardiac death). Last month, the Look AHEAD trial was stopped due what was deemed “futility.” Researchers claim that since these hard primary end-points were no better (statistically) in the lifestyle group than the standard care group, they could call the trial a failure….it simply didn’t work, they claim. Amazingly, they state “The intervention group did not have fewer cardiovascular events than the group receiving general diabetes support and education, but one positive factor we saw was that both groups had a low number of cardiovascular events compared to previous studies of people with diabetes,”[Emphasis added]. This tells us two things- since fewer events occurred in all participants [the details are explained here], the statistical power to detect a benefit for lifestyle changes was diminished- perhaps accounting for the apparent “futility”; but more importantly, stopping the trial may actually increase risk in both groups! There was certainly no harm in letting the trial continue for the next 2.5 years, since the safety committee readily admitted that there was no additional risk detected and nearly all secondary benefits were favoring the lifestyle intervention already. If both groups were receiving apparent benefits compared to previous diabetes trials, the “Do No Harm” approach would have been to keep the trial in place to understand why this was (likely requiring sub-group analysis). This whole exercise just confirms the importance to both clinician and patient alike, of understanding how clinical trials are performed and how their data is interpreted. The whole 4th chapter of The Original Prescription is dedicated to this subject and I think it is absolutely critical if one is to fully understand how to make medical (or lifestyle) decisions based on published research. The months and years ahead will be full of data analysis, sub-group analysis and a wide variety of interpretations of this study data. Follow up data on these patients will be published for at least the next decade. From the data already collected, I predict we will see a vindication of the lifestyle intervention model, learning in due time why the primary outcome was not met before the trial was stopped. I will keep you posted. Meanwhile, peruse just a few of the recent abstracts of the benefits already published from the Look AHEAD trial below. • Effect of improved fitness beyond weight loss on cardiovascular risk factors in individuals with type 2 diabetes in the Look AHEAD study. • Lifestyle change and mobility in obese adults with type 2 diabetes. • Patterns of Weight Change Associated With Long-Term Weight Change and Cardiovascular Disease Risk Factors in the Look AHEAD Study. • Weight loss prevents urinary incontinence in women with type 2 diabetes: results from the Look AHEAD trial. • One-year changes in symptoms of depression and weight in overweight/obese individuals with type 2 diabetes in the Look AHEAD study. • Effectiveness of lifestyle interventions for individuals with severe obesity and type 2 diabetes: results from the Look AHEAD trial. • Metabolic factors, adipose tissue, and plasminogen activator inhibitor-1 levels in type 2 diabetes: findings from the look AHEAD study. • Body image changes associated with participation in an intensive lifestyle weight loss intervention. • Long-term effects of a lifestyle intervention on weight and cardiovascular risk factors in individuals with type 2 diabetes mellitus: four-year results of the Look AHEAD trial. • A 1-year lifestyle intervention for weight loss in individuals with type 2 diabetes reduces high C-reactive protein levels and identifies metabolic predictors of change: from the Look AHEAD (Action for Health in Diabetes) study. I could go on- but we will stop there for now. 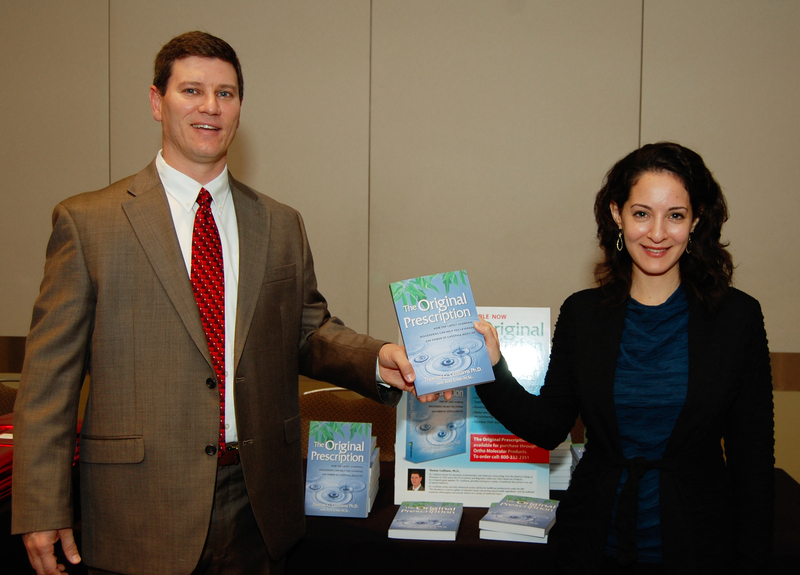 I wanted to let you know about the St. Louis Institute for Integrative Medicine 3rd annual Symposium last weekend (www.sliim.org). The meeting was held on the campus of Missouri Baptist University in Chesterfield. This conference is unique in that it includes both clinicians and their patients (and potential patients), a great model for other communities to emulate. I opened the conference with a talk called “Your DNA is not your Destiny: How to Trump Your Genetics With Healthy Choices”- allowing me to highlight many of the concepts I developed in The Original Prescription. I was joined by a great faculty of speakers, including Jill Carnahan M.D., Bryan Warner M.D., and Carrie Carda, MD; as well as a host of great vendors from the local community. It reminded me of how many times I have run into clinicians over the years who had no local community of like-minded clinicians to encourage them and bounce ideas off of. It is important to understand that the power of community is not just a benefit to the patient, it is a must for a healthy clinician and medical practice as well. For me it was encouraging to see some long-time friends and meet so many new ones. I would also like to mention Ortho Molecular’s local representative, Kristen Brokaw- her skills and vision are one of the reasons SLIIM exists in the first place. The future of functional and integrative medicine needs more events like SLIIM all over the country…and the world. 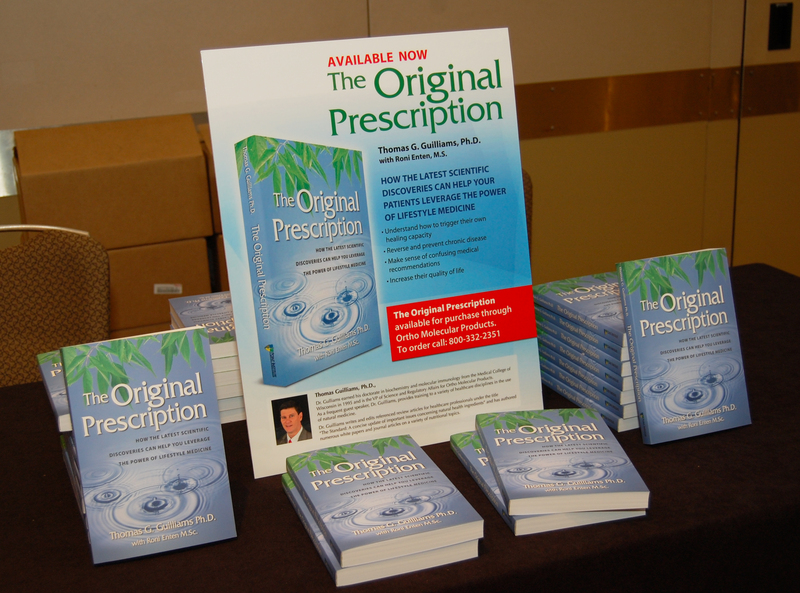 After months of waiting, The Original Prescription finally arrived and we launched it at the Equip Advanced Seminar in Chicago- Sponsored by Ortho Molecular Products. I was honored to share the stage with a wonderful faculty including Mimi Guarneri, Ralph La Forge, Shilpa Saxena and John Principe. I was able to discuss the implications of lifestyle habits and their impact on cardiometabolic risk (something I call risk trajectory), and the role of genomics and epigenetics influences on someone’s risk potential in my talk entitled “Epidemiology meets Epigenetics- Individualizing Care with the Lifestyle Matrix.” The room was lively with nearly 200 attendees in the audience and a full day of great lectures on lifestyle medicine, exercise prescriptions, group therapy models and much more. It was also quite exciting to do our first public book signing. The clinicians were gracious and excited to get a copy of the book, some even buying a copy for each of their clinic staff-members. I am looking forward to a similar reception at the Equip event in LA where most of the same faculty will get together on the Queen Mary for an encore performance- there is still time to join us at the end of October. 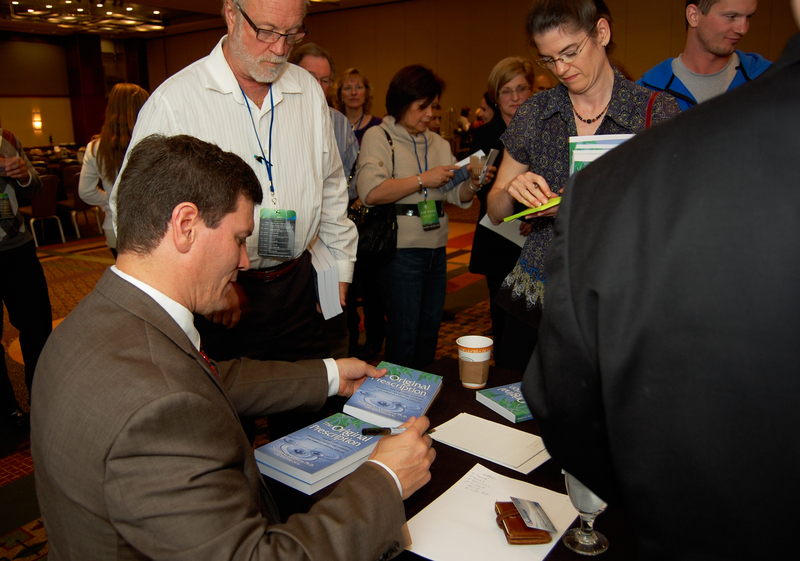 If you can’t join us (or you aren’t a clinician), you can still get a signed copy of the book- just email us at info@pointinstitute.org and let us know to whom you want it personally signed- we’ll be glad to accommodate your request. The first book signing was exhilarating. My research partner on the book, Roni, was able to make our debut. Those who know me are well aware that I have spent over 16 years researching and developing evidence-based nutritional supplements (nutraceuticals) for use by clinicians and their patients. You might think it curious, then, that the first manuscript I decided to expand into a book is about lifestyle medicine. The reason is simple. I firmly believe that every therapy, including nutritional supplementation, must be rooted in the fundamental signaling pathways designed to keep us healthy. Those signals and that design are what this book is all about. In many ways, I have been thinking about some of these ideas since my graduate school days, studying molecular immunology and debating the meaning of life with my fellow students. When you really begin to understand the elegant processes that drive the functions we call “life,” you will just shake your head in amazement. My hope is that in my description of the simple complexity that converts our lifestyle decisions into health, you will first be amazed and then inspired to leverage these ideas to pursue your own optimal health. The fundamental principles we outline here are not “new” per se; they are, after all, The Original Prescription. What is new is that our understanding of how and why these interventions work has been expanded with recent scientific research; and when we understand how something works, we are able to leverage its benefits. In this case, understanding the mechanisms behind lifestyle signals allows you to create a synergistic effect using multiple lifestyle intervention strategies. Knowing how these interventions work will also allow you to modify them to fit your unique health history and circumstance, and, because these concepts are fundamental principles, they won’t become useless once the next health fad or research paper comes and goes. As an aside, my other great pursuit is the study of biblical history, language, culture and influence. I have included a few brief anecdotes from these pursuits, mostly in the form of footnotes, for your consideration as well. It would have been easy in a book like this to point the finger of blame toward all those who have contributed to the poor lifestyles driving our healthcare crisis. The usual suspects of agribusiness, Big Pharma, insurance companies, fast-food chains, government regulation, FDA, poor parenting, and the like are easy targets. The fact is there is plenty of blame to be shared by all. Ultimately, most of the decisions that affect your health are yours to make. The principles outlined in this book have a powerful potential to turn your health around but are impotent if left neglected and untried. My hope is that you will, instead, choose to fulfill The Original Prescription. The Point Institute is excited to announce the publication and release of The Original Prescription, a new book exploring the science behind lifestyle medicine and how everyday choices can alter the signals that drive our health. Using the 7 spheres of lifestyle synergy as a guide, as well as key principles that support the implementation of lifestyle changes, the book explores how to trigger one’s own healing capacity, how to reverse and prevent chronic disease, how to increase quality of life and even how to leverage health to fulfill your life’s purpose. Cardiometabolic Road map coming This Spring!